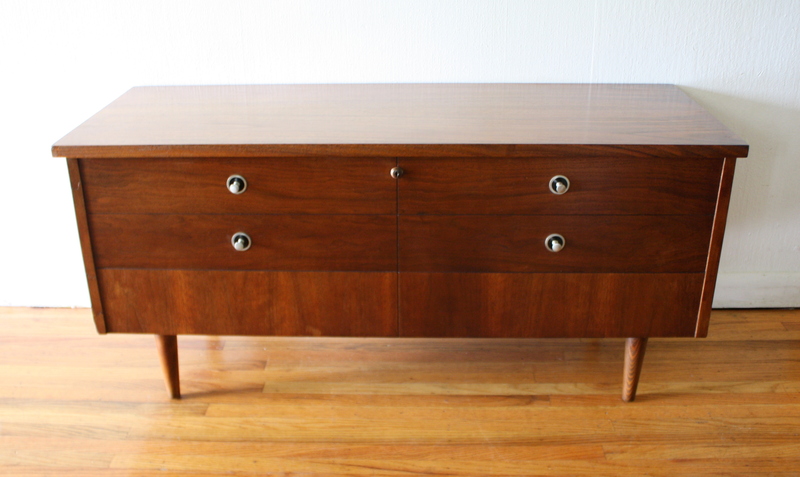 These are 2 mid century modern cedar chest trunks by Lane. 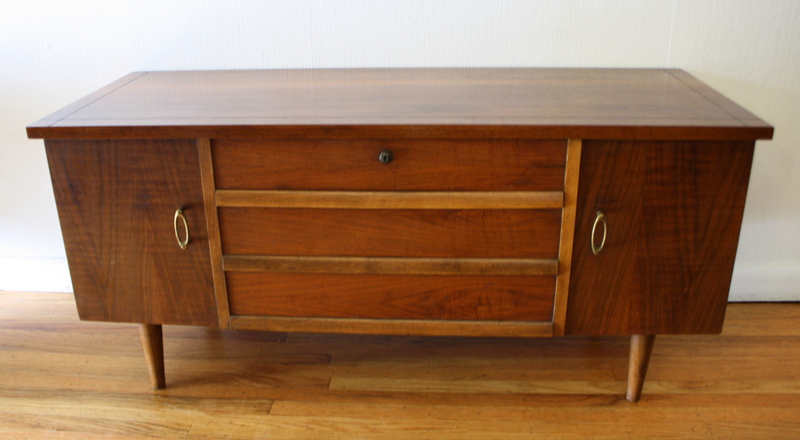 The first cedar chest has decorative silver knobs, a parquet design and tapered legs. The second cedar chest has decorative brass handles and tapered legs. Dimensions of both trunks: 43″W x 16.5″D x 20″H.